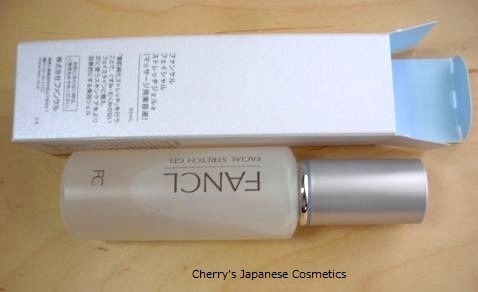 This is one of my (Cherry’s) new products bought for this spring. After having a facial esthe in Taipei, I pretty like it, and miss it. But there is so far away from here Japan. I am looking for some massage gel/ cream, but some are seemed like steap, the other are not pretty good smell. I like no perfume products, but I also dislike the smell of oil. Fancl is one of my favirite for ages, and they tend neither perfume nor smell of oil. This stretch gel is also a massage gel. This transparent gel is unlike other massage items, seems you have no need to rinse or wipe your face. That is good point for me. I feel really relax with massaging my face with this product! My fingers and hands neither slip on my face nor scratch my face to massage. My method is a kind of Suqqu’s Ganshin massage or Clarins’ kind. Fancl’s method is seemed like not so far from those. After doing massage on my face by myself, I feel so refreshed! To be honest, I do not know whether I could lift my face up or not. OK, here is a tips to use this bottle. Please remove the inside cap. 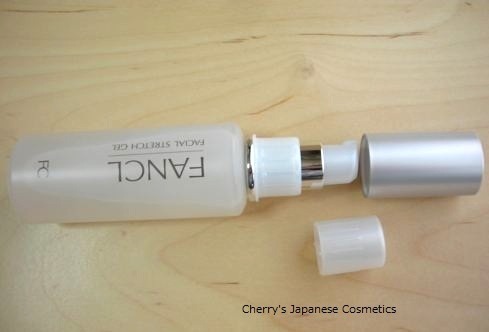 Unlike other bottles by Fancl, this bottle is just an usual pump. You have no need to pay attention to the bottom of the bottle. Please check and order from here;”Fancl Facial Stretch Gel“.